Read about what my satisfied customers have to say about me and see what I have done to make them happy. Kevin helped us buy our home last May. Through his knowledge of the current real estate market and his guidance, we were able to secure a fantastic deal on a short sale property. Since we were very unfamiliar with the short sale process, we leaned on him a lot to help us understand what was going on. We were going to have to do some work on the house before we moved in, and Kevin was very flexible and willing to let us see the house multiple times before we closed. Our kids called him "the door opening guy". You can feel very confident in your decision to contact Kevin Burke for all your real estate needs. He found us the perfect home in the area we have always dreamed about. He has an extensive network of professionals that we used to secure our loan, inspect and protect our purchase and even help renovate the property before we moved in. Kevin is very personable and down to earth. He makes buying a home a wonderful experience! Kevin was extremely helpful in my search for a new home. He made himself available on a regular basis, and was excellent at understanding what I was looking for in a home. Kevin was also great at providing me insight to what he thought the market price should be as compared to what the sellers were seeking. Kevin proved to me the value in working with an agent vs. trying to do this on my own. I highly recommend him for his patience, courtesy, and professionalism. Kevin is personable, knowledgeable, and familiar with the local market. He communicates well. He answered all our questions and was excellent in returning our phone calls and keeping us updated. I would highly recommend him. Great guy and knows his stuff!!! Definitely recommend using him if you are in the market to buy a house. Just know that you have to be ready to buy a house when you call him because you will find exactly what your looking for fast! Kevin helped me purchase my first rental property December 2013. He was very helpful and extremely knowledgable. He always responded to everything in a prompt manner. I would highly recommend him. Kevin helped me buy my first home and made the process smooth, painless, and quick. He was always quick to respond to my calls, answer my questions, and work around my schedule to show me the different properties I was interested in. Friendly, professional, and gets the job done! I'd definitely recommend Kevin to my friends. Kevin, knows what he is doing.he did the best, to get the price we wanted for our home he explain every thing he was going to do. took all the measurements,rooms, property,etc. i would have kevien sell another home. if we had one he knows what has to be done. to sell a home. Kevin has worked with my husband and I for over a year; he has helped us sell one home and buy another one. He was very helpful throughout the whole process and there was constant communication among the three of us. I would highly recommend this agent. He has helped me purchase two properties in two years (condos). He also helped me a few years ago, but we never secured a property. He always responds to my calls/e-mails within the hour and is always prompt. Kevin is a fantastic realtor. We were lucky to have Kevin who was extremely patient in our home buying process. Fortunately, we found the house we loved, and are still satisfied with our purchase 8 months later. Kevin is amazing and we were so lucky we found him! He makes you feel so at ease in a situation that can be very intimidating. His knowledge and local contacts made our home buying experience so smooth. Will totally recommend to everyone we know. Kevin Burke with Remax Synergy was a pleasure to do business with. He is based out of Illinois but is licensed in Indiana too, which is where I reside in my beautiful home that he found for my family and I. Kevin was very patient with me and my excitement of being a first time home buyer!! If he emailed a listing I had to see, I would have to see it a.s.a.p. becuz I didn't want someone putting their paws on it without me seeing it. :) He was available on a moments notice at times and ya gotta love that about your real estate agent. Kevin was knowledgeable and gave the best advice when asked. Kevin won't sell a house just to make a sale...he really wants to find the home that he feels will truly be the best fit for your situation. Thank you Kevin for all of your hard work and dedication for finding us our home sweet home!!! Just wanted to thank you for finding, and assisting with the purchase of the latest property in Joliet. This makes three you have found for us for our investment portfolio, and we couldn't be happier. You have a sharp eye, and completely value your insight as we move forward to acquire others. I contacted Kevin and within 2 weeks he found me the perfect place for me and my son. I was nervous about buying for the first time. Kevin answered all my questions and gave me honest, sound advice about what was best for me. After 5 years, I decided I wanted to sell my condo and find something a little bigger. With the market values dropping, I didn't think it would be possible to sell my condo. Within a month, Kevin got me a great offer and I was able to sell. Now I am looking to buy my next home and I wouldn't have any other realtor than Kevin. He's knowledgable and honest. I would highly recommend calling Kevin Burke when buying or selling a home. 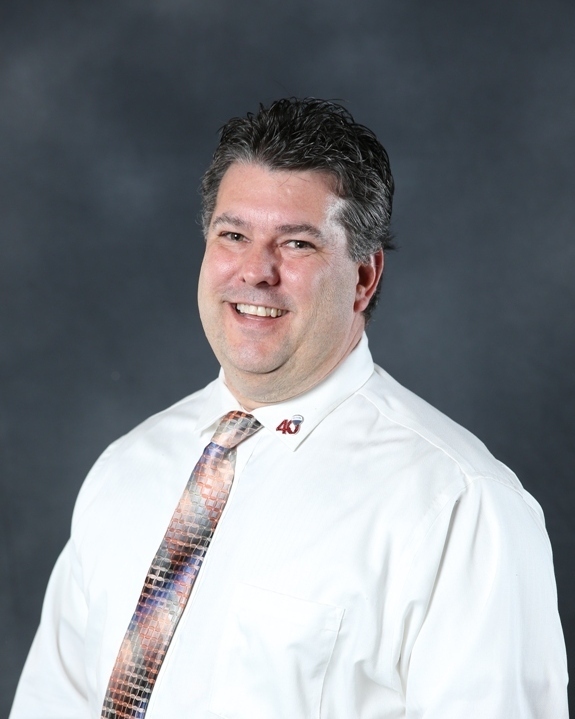 Kevin is a great agent to work with because of his dependability and knowledge of the area. He knows your time is valuable and if there is anything you don't like about a property, you move on to the next one. He will work until you find the property you want and I would highly recommend him to anyone. Kevin showed me every home I wanted to see, and there were many. He was patient and exremely helpful the whole time. I purchased the perfect home through him. Kevin was extremely helpful in finding and negotiating the purchase of our home. I will recommend him to all of our friends. Kevin traveled far and found us the home we were not originally considering from the pictures on the internet. He set us up on an e-mail property search. We chose some homes and he suggested we look at some that we didn't mark. We are so happy to have bought this beautiful home. Kevin's marketing strategy is the best!!!! He advertises throughout every media. He sold my home in a couple of weeks. We were going to use an investment company to sell our home. A friend told us to call Kevin Burke.Kevin sold our house in 12 hours for more than we would have got from an investor. Such a great experience using Kevin Burke as our realtor. He helped us find our dream house and took care of virtually everything. Such a smooth process. I would highly recommend Kevin to anyone I know. I honestly can't say enough good things about how great our experience was. We had a property to rent as well and he also handled that process for us as well. He found us a great tenant to rent our property which made moving into our new home that much easier. He took the stress out of home buying and made it a very pleasant experience. Kevin's detailed and timely knowledge of market conditions were instrumental in the concluding a successful transaction. Kevin was also prompt in returning all phone call inquires. Showed us an endless stream of houses when we couldn't make up our minds. Helped every step of the way with the sale of our house and the purchase of a new one. Always got back to us right away even though we probably went overboard in terms of questions/advice. We would definitely recommend him to others and use him again in the future. Kevin did a great job handling the sale of my property. Very knowledgeable about current market conditions. Have already listed a second property with Kevin. I highly recommend him for all my real estate transactions. Our experience with Kevin in our sell & buy process was an extremely positive one. Kevin made the entire process a wonderful one. Always there when we needed him for any reason with a smile on his face. Always willing to put out 100%+ in taking care of business in a professional manner. I would recommend working with Kevin to anyone contemplating the sale or purchase of a home. My fiance and I have 5 jobs between the two of us and Kevin worked around our schedule and all times of the night to make sure we got this house! Kevin is down to earth and puts in his professional opinion on each house we went and looked at. Great guy I highly recommend him! Kevin was very patient and provided my husband and I with the best service . Kevin was very knowledgable about negotiating and walked us through the entire home purchasing process. My husband and I had a stress free experience . Kevin is great! Kevin is a top notch realtor. We went through 3 different realtors before we found him. None even came close to having the abilities he did. Great communication skills too go along with being very knowledgable about the process start to finish. Truely made for a pleasurable experience the whole way. Thank you Kevin and I will recommend your services to anyone looking. My wife and I were first time home-buyers and Kevin Burke was refereed to us by a family friend. From our first interaction with Kevin we knew we were in good hands. He was patient with us as the process was a new experience for us and he was incredibly responsive to all questions and concerns we had. He sent us a list of houses to review and got an idea of what were were looking for and went from there. He was honest about issues he saw as well as a good deal he knew wouldn't last long. We visited several houses until we found the perfect house and Kevin helped us lock it down. He was able to get a price that was within our range and make sure that we, as buyers, we taken care all the way through closing. He even called to check up on us after we had moved in to make sure everything was going well. We will be recommending Kevin to anyone we know that is looking to buy or sell a property. And you and believe that when/if we are back in the market for a new place, Kevin will be the only number we call. You wont go wrong with Kevin Burke! Simply put, Kevin got the job done. When we asked Kevin to sell our mother's house he got right to work. During the first weekend he had the house ready to be presented and posted a slideshow of the house online. Due to his efficient work, we had offers the first day and accepted the second offer. Our entire family is extremely grateful to Kevin. Mr Burke responds immediately to his phone calls. He did a fine job for my family. My home sold in 9 days. He also found a house for my son this same year. I guess you could say that he is our family realtor. Kevin is very responsive and meets all the clients obligations and requests. His knowledge base is valuable tool in the real estate arena, I highly recommend Kevin as an experienced Broker. Kevin Burke was by far the best agent I have ever worked with (and I have worked with many). He listed my home at a price that I thought was a little high and it sold in less that a week for more than it was listed for. His expertise in the market was far beyond other agents that I have dealt with. He was always available to answer any questions that I had. I would highly recommend him to anyone that is looking for an experienced agent that works hard for his clients. We bought a house in Frankfort in July 2014. Before we landed there we looked at houses in many different cities looking for the best schools. Kevin was our realtor and he knew a lot about schools and always found out for us exactly which one our kids would go to based on the location. He was very patient, knew all the areas pretty well and when we finally found "the one" he helped us to get a very good price on it. I hope not to move anytime soon but if we do we'd definitely use Kevin again! Kevin Burke sold my Varna home in record time... It's in a rural, remote location with not a lot of buyers. I had previously listed the property with another local agent and 9 months went by without any offers. Kevin listed it higher and got me more money than the original listing price with the first agent! Kevin knows how to market a property. He's aggressive and as sharp as a tack. He's responsive, calm, funny and a really terrific guy to work with. I actually enjoyed the selling experience with Kevin. Strongly endorsed! Kevin had several homes picked out for us to look at, that fit our "ideal home" with our needs and wants taken into consideration. He made our negotiating process thorough and quick, resulting in us purchasing our first choice home that we saw. We had everything finalized within 10 hours of viewing. I would recommend and refer Kevin to any one buying or selling that wants a knowledgeable and trustworthy realtor. We were very lucky to have worked with Kevin Burke. We met him on our initial search to find a home. We ended up going with Kevin because of he was never pushy and was always honest and upfront with us. Kevin is extremely responsive to his clients, whenever we wanted to see a property, he was on top of it. Kevin's love for helping his clients really shinned through while he was working with us. His knowledge, experience and command of the local landscape helped us land our ideal home at a good price. In the process of looking for a house Kevin also helped us find tenants for the Condo that we needed to rent out. You would be making a mistake by picking any other real estate agent. Kevin is very professional, I have had no communication problems with the homes he has helped me find, purchase, rehab and sell. I look forward to working with Kevin on my future projects.